Yuan Li of china is the new champion of $500,000 buy in Asia Championship of Poker High Roller which took place from November 5-7, 2016 in Macau. The tournament received 33 entries (plus 12 re entries) and generated a whooping prize pool of amount $21,384,000 (Hong Kong Dollar). A mutual heads up deal in between top two players decided that Yuan Li will collect the first prize of amount $6,700,000, whereas Justin Bonomo, a pro poker player from United States will took home $5,595,000. Twenty-seven-year-old Li played like a champ from day 1. He leaded the chip counts on Day 1 and on Day 2. Ultimately the two remained players in the business were Yuan Li and Bonomo, but it was Li who prevailed at the end. 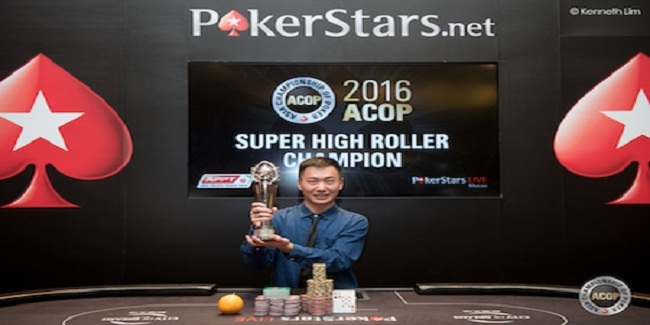 After winning the 2016 Asia Championship of Poker High Roller Li revealed that he is a high stakes game player and he does not care much about big buy INS. 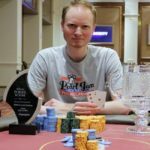 He said “I was very confident that I can win the super High Roller and for that I have to play strategically”, and I did the same what I thought before the final table began. 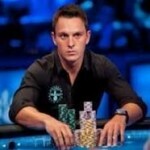 Final table of the High Roller included players from Belarus, china, Germany, United Kingdom and United States. The first player who got busted from the final table was Mikita Badziakouski from Belarus, who got out from the race of becoming the champion and collected $1,497,000 from the tournament for his sixth position. Chinese Shunu Zang was the next man out from the final table and before he leaves he made sure to collect $1,925,000 as winning total for his fifth spot finish. German Tobias Ziegler was the next man out from the table. He earned $2,459,000 from the game and finished his journey at fourth place. 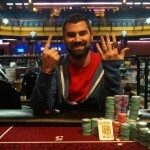 UK’s online poker player Paul Newey collected $3,208,000 from the Asia High Roller and was booked at third place.